I have written fondly about trains and the railways on a few occasions and I usually take the opportunity to ride one, each time I go to India. This time I could not manage it but was gently prodded into thoughts on that direction by an invitation to attend the 125th anniversary of the Calicut Railway station. I certainly would have loved to attend it, but I was already back in the US by then. Nevertheless I got thinking about the history of the Southern Railway and got started. I wish I could meet Mr KR Vaidyanathan who has written many an interesting article on his times in the railway, and he hails from the village next to ours in Palghat, K standing for Kunisseri. My late Engine Driver uncle whom I had mentioned a few times in the past when writing about the railway, is no more, or I could have obtained even more firsthand information. Bypasses have come, the old bridges over Kallayi and Feroke rivers stand forlorn and rusted, and the days of the Raj’s rail have been forgotten, though it was the life line of Malabar at one time. The new lines and stations are equally important, but require much facelift both to the facilities and equipment. As you can imagine, the Calicut - Beypore connection to the Southern railway has a very interesting history, so read on…. Henry Valentine Conolly had reached Calicut in 1841 and soon got involved in the discussions about a rail connection to Calicut. As we understand from records, the concept came into being as early as 1832. But first a little perspective on the inception of railway traffic in India would be a better way to start. Railways started at the Red Hills in Chindradipet where a short line was laid to transport granite in 1835. By 1837 it was in operation with wagons pulled by locomotives and animals. While the first commercial railway traffic was established between Royapuram (Madras) terminus and Arconam, the major project they undertook was to link one coast to the other, i.e. Madras to Malabar. The question was which location in Malabar.There were detractors too who said - The line proposed can be described as beginning nowhere at Royapuram, touching nowhere en route, and ending absolutely nowhere at Beypore, where it went, not because trade wanted or warranted it, but because there nature had provided a route through the western ghats. Calicut got into the minds of the English and the administration in Madras for various reasons, mainly due to the difficulties in reaching the cities of Malabar which were still providing ample raw material and trade material to the English. But as you can imagine, the administration was not in possession of the required finances and private funding and involvement was a must, to get the project started. Thus came about the incorporation of the Madras Railway Company. Later the Gold boom (Refer my article on the Malabar gold rush ) brought even more attention to the region and then again the other reason, sadly was the Moplah revolt that took much of Connolly’s time. The British had to marshal resources quickly to the Eranad regions when required, so it was an administrational need too. Calicut as you will realize did not have a good harbor and the closest was at Beypore or Vaypura as it was known then. 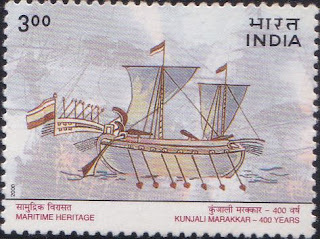 The British had very ambitious ideas about the harbor and wanted to use it not only as a link point to send out material to Bombay or Arabian ports but also as a link point for mail and passengers. It was to become their Southwestern terminus for sea traffic to the Arab lands and rail traffic eastwards. As mentioned earlier, in 1850, when the gold-boom drew more attention to the lack of good communications with the Wynaad, and it was proposed by the planters and gold companies that a line should be run from Beypore, to Gudalur and from there to Mysore. A company for the purpose was planned, but the project fell through since the Government declined to guarantee it. An alternative proposal to continue the Mysore Railway from Mysore was similarly suggested and eventually dropped. But the need for a western terminus was clear. Beypore figured again as the terminus. Ships carrying people from Bombay to Madras or Calcutta had to stop at Beypore. The routes of bureaucracy sometimes took even stranger turns. In fact one person took this route from Bombay to Lahore – Bombay to Beypore by ship, Beypore to Madras by rail, Madras to Calcutta by Ship and from Calcutta to Lahore by road!!! It finally got started with the Madras Railway Company launch in 1845. The Madras Railway was formed in 1845 although its first section of line, from Madras to Arcot, was opened to traffic only by 1 July 1856. In 1859, its object was given as "the construction and working of a railway from Madras to the western coast at Beypore, with branches to Bangalore and the Neilgherries; also of a line from Madras, via Bellary, to join the line from Bombay - total, about 820 miles." So there you see it, the terminus was never planned to be at Calicut, but at Beypore, the place which Tipu had wanted to rename as Sultanpatanam and consider as his main port. Why Beypore is a very interesting question with an even more interesting answer. There was much discussion around the subject as three towns were bandied about in the deliberations, them being Calicut, Beypore and Ponnany (Cochin was also considered, but dropped as it was not in British hands). The answer can be found in the pamphlet Discussion of the Question of Railways or Waterways for India. 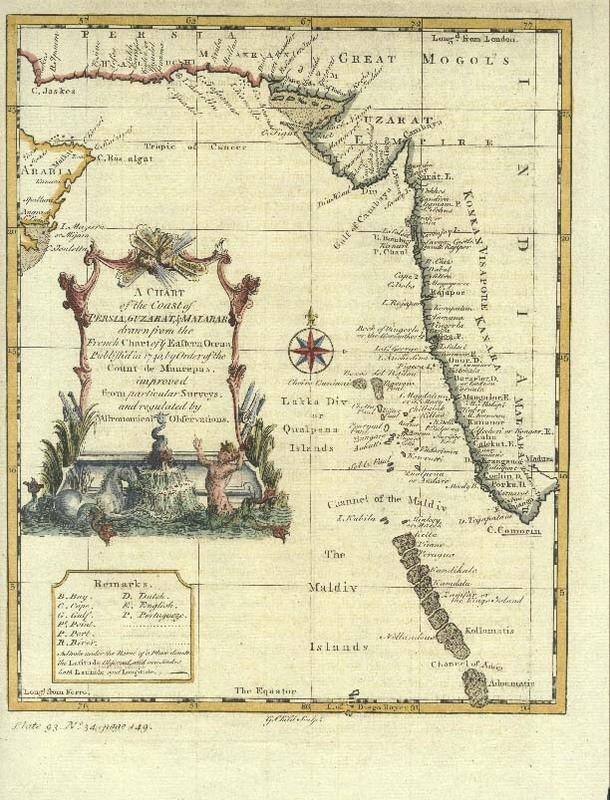 The original intention was to install a direct travel highway (do not read this as a road highway as we known it) from London to Malabar and thence to Madras and Calcutta with the western terminus at Beypore. The primary task was to link Madras and Aden through Beypore. Ships would berth at Beypore, the principal port, disgorge people and mail, which will go overland by railway to Madras, a distance of around 400 miles (Note here that the actual location of the Beypore terminus is at Chaliyam where the Chaliyam Portuguese fort once stood). Major Cotton writing in 1851 states - And that such an error is not always to be corrected in the course of years, we have the case of Calicut, which is circumstanced somewhat similarly with reference to the Beypoor river. Whatever led originally to its present position being chosen, was a great misfortune to the country, and so clearly was it seen, in former times, that such had been the case, that Hyder made an effort to correct it by obliging all the leading merchants of the town to change their place of residence; but, although the Beypoor river affords a sheltered harbour for the coasting craft,—timber is to be had for ship-building, and vessels of 800 tons can there be launched and floated out to sea: in short, that there is, only 8 miles distant from Calicut, a noble site for a commercial town to rise upon,—no sooner was the restraint removed than the inhabitants returned to where they first located, preferring their former homes to all that Beypoor offered; and, while Calicut is every day increasing, Beypoor remains almost as much deserted as it was in Hyder's days. Here is when the Ponnani proposition came, experts stating that it would save about 20 miles of rail construction and emphasizing the fact that it had calmer waters during the monsoons (but necessitated some expensive sand bar removal). Another point mooted was that it was easier to construct the breakwaters at Ponnani. Around this time, Collector Connolly weighed in. He advocated Ponnani initially but changed his mind (Was it because of the riots and the problems with the Ponnani Thangal? I would infer so) in proposing Calicut instead. In my letter of the 7th November last, I recommended Ponany as the natural Terminus for the Eailway. * But before anything is finally determined on I think it not amiss to attract your attention to the advantages which (in some respects) Calicut has over Ponany from being the capital of the province, and the long established seat of trade. From being exposed to the full brunt of the wind which blows, with great violence through the Palghaut gap in December, January, and February, it is not so well suited for shipping as any of the parts to the Northward, and especially Calicut, which are screened by the Komdah mountains from the severity of the wind. This might be a point of considerable moment." "A road through the heart of Malabar from Palghaut to Calicut would open a finer country, than that from Palghaut to Ponany." In 1853 Lord Dalhousie sated - "Another European Regiment is stationed at Cannanore and one is likely to be placed at the Sanatarium on the Hills. The proposed line of rail would touch all these points"
1st. It was as near as the Railway could be cheaply and conveniently carried to Calicut (the provincial capital)—to the large Town of Tellicherry, and to the important Military station of Cannanore, being nearer by 20 miles to those places than Ponany would be. 2ndly. It is at the mouth of the most beautiful and most navigable river in that part of the coast, the highway, through a forest abounding with excellent timber, to the important district—colony it may be termed—of Wynaad. 3rdly. Though possessing no claim to the name of harbour, and there is none such (but the miniature port of Cochin) south of Sedashegar, it has the advantage of much safer anchorage than Ponany; while the passage of ship's boats into the river is rendered easy and secure, the greater part of the year, by a natural breakwater presented by a reef of rocks parallel to the shore and in front of the river's mouth. Considered with reference to its geographical position, it is as convenient a spot as could have been selected for the construction of a harbour of refuge, by means of a detached breakwater, a work that will doubtless be some day undertaken, and would prove of immense advantage in maintaining our communication with the Red sea, at all seasons of the year, in time of war. 4thly. Beypore has all the appearance and promise of being one of the most inviting places of residence for Europeans, while Ponany is without exception, the most filthy and repulsive spot on the whole line of coast. However a recommendation that Ponnany be connected eventually to the rail network was also mooted. The engineers Pearce and Bruce reports are also interesting, as to how they leisurely walked the western coast starting from Coimbatore to Calicut surveying various locations. Another key intention was of course to get the mail to madras 2 days earlier.. They dropped Calicut as being not worthy of consideration, but stated that Beypore met all the needs and not only that, but also was a port capable of building 600 ton ships. Beypore was also seconded by the Indian Iron company situated on the Chaliyar banks. Discussions then took place on the supply of iron for rails, furniture etc. and the companies that weighed in as suppliers were the Beypore iron works, Porto Novo Iron Co and Parry & Co. 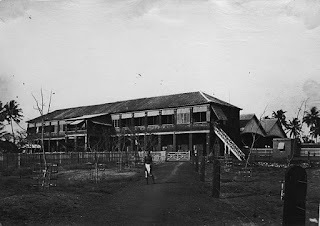 The clamor to include Cochin continued even in 1869, but the administrators wanted no further diversion of traffic or any kind of profit reduction on account of that, considering it together with investment costs. Now comes up an interesting snippet thanks to Mary carpenter notes – She says that it was never advised to travel directly from Bombay to Calcutta as the road travel crossed difficult and unpleasant Lahore. Instead they were recommended to take the steamer from Bombay to Beypore, and then take the train to Madras and from Madras the steamer to Calcutta as early as 1870. 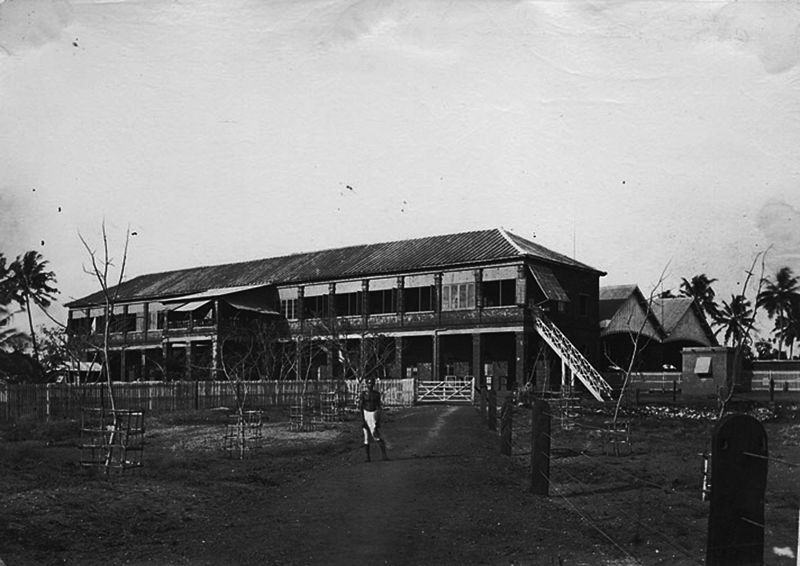 By 1860 the buildings and facilities at Beypore were completed. However the experiment did not seem to go well commercially and Beypore continued to remain the place it was. In March 1861, the first locomotive chugged into the station. The Madras Railway Company opened the Madras-Coimbatore-Beypoor (Calicut) railway line for traffic in 1862. And reported that the experiment of expediting the transit of the mails for Madras, by dispatching them by steamer from Bombay to Beypoor, and thence to the Presidency by rail, has proved to be very successful. The next step was to try and make a great harbor at the place and levy tolls to cover the financing, provided the railway was given a subsidy by the government. But it does not seem to have found great interest even though the government had initially supported the idea. But even with all this text, you do not get a feel of the Beypore in the 1860’s. Don’t you want to know how the station felt to people? For that we have to study the arrival of Lord Mayo at Beypore in 1868. Lord Mayo left Bombay per steamer Coromandel for Beypore en route to Madras. The following are the particulars of the arrival at Beypore of His Lordship and his suite, and their reception by Lord Napier, and their transit thence to- Madras. Beypore, the once obscure fishing village of Malabar, now the Western Terminus of the Madras Railway, was the focus of interest and attraction on New Year's Day, 1869. The special train arrived at the Beypore Terminus at eight minutes past 7 A. M., having, among the passengers, Lord Napier, his son, the Hon'ble Mr.Napier, Colonel Fordyce, the Military Secretary, and Lieutenant deRobeck, A. D. 0., with some of the leading Railway officials (Messrs. Blwin, Church, Anderson and Collinson) There were also the Honorable R. S. Ellis, c. S. the Chief Secretary, the Honorable Mr. Justice Wells, Captain Ellis, Doctors Busted and James, Mr. Ballard the Collector of Malabar, Major Shaw Stewart the Consulting Engineer for Railways, and several other gentlemen already in waiting at Beypore for the Viceroy. All eyes at Beypore were anxiously directed towards the wide sea, Every one apparently vying with each other as to who should" catch the first glimpse of the steamer Coromandel which was bringing in the Noble Lord and his party Half past 10 A. M having arrived and the steamer not having been signaled the whole party of gentlemen in waiting at the Hotel including Lord Napier and his suite, numbering about 30 gentlemen sat down to breakfast not a little disappointed at the non-arrival of Lord Mayo. During the course of the day, a stream of the inhabitants of Calicut and the adjacent places were seen running into Beypore, so that by the evening, what with the triumphal arches across the road all along from the landing place to Framjee's hotel, with festoons of evergreens, the decorations and preparations at the hotel, with mottoes, in large characters, of " Welcome," and flags of all colors waving, Beypore was in a state of great excitement. At last, the Coromandel was sighted at 6 P. M., having the following party on board : the Earl and Countess of Mayo, Major and the Hon'ble Mrs. Barne, Captain the Hon'ble E. Bourke, and Captain Scott, A. D. c. Boats gaily decorated and made comfortable for the accommodation of the passengers, were at once, with a right good will, started oft in one of which a deputation consisting Lord Napier-'s Military Secretary (Colonel Fordyce), Lieutenant deRobeck, A. D. c., and Mr. Ballard the Collector of Malabar, greeted the noble Earl in the name and on behalf of Lord Napier, and, in a barge specially fitted out for the Vice-regal party, brought ashore the illustrious company, where they were received with all the military and civic honors that, under the circumstances, modest Beypore, the once secluded fishermen's village of Malabar, could possibly afford to give. The party landed upon a temporary pier erected for the occasion under the superintendence of Mr. Ballard, the Collector, Lord Napier receiving them and leading the Countess of Mayo and the Earl of Mayo to the entrance of the hotel. Here the Guard of Honour; with the Band saluted the Viceroy Designate, and the whole party entered the hotel and sat down to dinner. While the parties were discussing the good things of this life the Band of the Guard of Honor was discoursing sweet music and at 10 P. M. the party entered the special train, and started off amid much 'cheering. Interestingly the Prince of Wales also transited Beypore during Dec 1875. Nevertheless, as stated in later press and government reports, Beypore was a very unsatisfactory terminus. It remained a small unhealthy village. People were not too keen about it and continued to grumble that a mistake had been made in not choosing Calicut instead. Our Beypoor terminus has been subject to reference at this meeting. It has been acknowledged to be greatly to be regretted that the railway was not carried on to Calicut, to the north of the Beypoor River. It ends at Beypoor, on the south side of the river, and at times the river is a great impediment to traffic. It comes down in great floods and is a very violent stream, and for years past efforts have been made to overcome the difficulty and get the line into Calicut Recently, I am glad to say, the Government so far took up the matter seriously, that they sanctioned an amount for a survey of the territory round there, and one of our own engineers was deputed to conduct the survey—Mr. Hanna. In a recent letter I learn that the survey has been completed. The agent writes that he is thoroughly satisfied with the line as suggested, and he has been all over the ground, and promises that a plan for the extension, with estimates, will be ready about the end of this month. The present suggestion is to carry the line higher up the Beypoor River, and cross it at a narrower point, and thus get into Calicut. Where the line now is, the river is very wide, and probably the foundations of the bridge would be difficult. The suggestion is to carry it higher up the river, where a good embankment could be found. When these estimates come before us, I hope they will be of that practical character that we may obtain the sanction of the Government to the expenditure. But the main objective of the Madras railway was met – As Sir Roney put it, “The object of the company was to construct a railway from Madras to the western coast. The difficulties of construction of this railway have not been great, the only ones that presented themselves being the way in which several rivers should be crossed. By means of this line, railway communication with the important military station of Bangalore is obtained. It also passes through the cotton fields of Coimbatore, and it finds its way through a passage in the Ghauts to the Port of Beypoor, on the coast of Malabar. From Madras to Beypoor, the distance is 406 miles. Beypoor has for some time been felt as an unsuitable terminus, on the western coast, for the Madras Railway. It provides the conveniences neither of a harbour nor of a port, and the advantages of the railway to the western side of India are, in consequence, greatly diminished. Proposals have, accordingly, been made to extend it northwards to Calicut, or southwards to Cochin, sixty miles from Beypoor. The former would hardly be much better than Beypoor, but Cochin appears to offer considerable advantages. Independently of possessing a fine harbour, there is close by, the remarkable roadstead of Narrakal, accessible to ships at all seasons. The only drawback is, that the line would pass through a foreign territory; but this would be slight if the Rajah of Cochin would support the project. The matter is now under the consideration of both the Supreme and the Madras Governments. In 1880 a public meeting was held in Calicut and a memorial was made up asking for the station to be moved to Calicut. 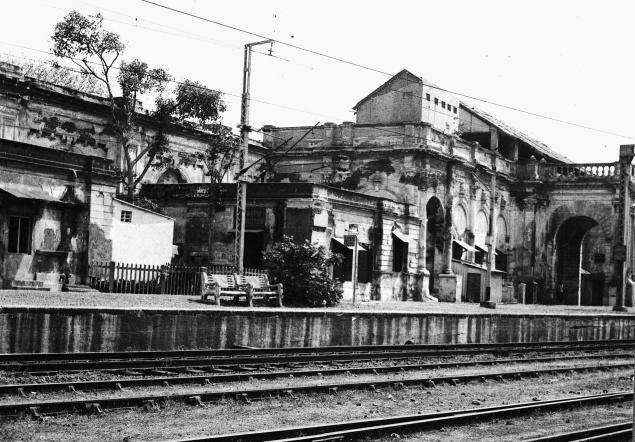 The extension was finally taken up in 1884 and the Calicut station opened on January 1888 which resulted in 19 lakhs additional expenses, out of which 1.5 lakhs were provided by local authorities. The extension of the South- West line from Beypore to Calicut, which was sanctioned in August 1884, was finally being constructed as an integral part of the Madras Railway Company's system. The person appointed to supervise the task was Engineer Francis Baker Hanna who had previously spent two years at Beypore. But this project did not help him personally as his life came to a cruel end shortly after he concluded his task meritoriously, and his obituary states - He was next appointed, in September 1884, to carry out the survey of the extension from Beypore to Calicut, and then acted as Resident Engineer on the construction of the work. This branch, although short, involved the erection of three large bridges, that over the Beypore River consisting of eight spans of 130 feet on wrought-iron cylinder-piers, one of which had to be sunk in 40 feet of water with a rapid tideway. This work was carried out with much ability, and, shortly before its conclusion, Mr. Hanna was appointed, on the 27th of October, 1887, to the vacant post of Agent and Manager. His administration was marked with success. In the autumn of 1891 he was attacked by fever from which he suffered for some weeks; typhoid supervened, the illness took a sudden turn for the worse, and he died on the 23rd of November. The remnant portions removed from the condemned Beypore railway station were brought to Kozhikode and used in constructing an engine shed. The construction of bridges at Feroke and Kallayi were completed only after the Calicut railway station was thrown open. As the report said - The Calicut extension, which involved the construction of 9 miles of line and the Calicut abandonment of 2 miles, including the terminal station at Beypore, was opened for tension, public traffic on the 2nd January 1888. The Feroke and Kallai bridges not being completed on that date, passengers were transhipped at the Feroke Bridge and the train crossed the Kallai River on a diversion. The Feroke bridge, six 130-feet spans, was opened for public traffic on 5th March 1888, and the Kallai bridge, three 130-feet spans, the work on which was delayed on account of its having been decided to carry the cylinders down to rock, is still in progress, the line in the meanwhile being worked over a diversion with a temporary bridge. Meanwhile the Palakkad extension was also completed. By 1888 Madras Railway trunk route from Madras thus extended along the west coast to Calicut, the same year when Bombay’s VT was completed at a cost of Rs1.6 Lakhs. The river was finally bridged in 1890 for the railway to reach Calicut The train which left Madras at 1800 hrs was the forerunner to #1 Madras-Mangalore Mail. That trip cost Rs 15/- for a second class ticket (Rs 38/- for 1st class) in those times. Meanwhile the Catholic colony in Beypore and the orphanage shut down and moved to Calicut. The Luthernans did likewise and soon Beypore was abandoned. Nevertheless, the situation in Malabar was not good commercially looking at it with British eyes. The Moplah rebellion did not help, large amounts had to be spent quelling it, the Calico production at Chalium had died out, attempts to manufacture Canvas at Beypore failed and likewise silk production at Palghat too failed. The Moplahs who were involved in the departure of the Chinese and later the Portuguese and the Dutch were becoming bigger thorns in the British flesh. Larger numbers of Europeans bereft of opportunities, were soon to leave the area, though retaining Malabar as part of the Madras presidency. Economics and other reasons necessitated the merger of the Madras railway and the Southern Maratha railway. The Madras and Southern Mahratta Railway was founded on 1 January 1908 by this merger. Much later, the Southern Railway was formed in April 1951 year by the amalgamation of the former Madras & Southern Mahratta, South Indian, and Mysore State Railway systems. How did the railway journey feel like in those days? A click on this link will give you more details. Beypore Iron Company – Interestingly this was the first factory to employ the Swedish style Bessemer process in 1861, in India. They made saws, jungle knives, railway material etc. It later became the Indian iron & steel company. Shortly thereafter it was renamed the East India Iron Company. The company failed despite the high quality of its products due to lack of capital and as it could not get the furnace fuel easily from the forests, so much so that ships carried firewood from Ceylon for its upkeep. I presume this is one of the reasons why the Connolly’s Canal was later built. Dear Sir,I am aged 75.I retired as Deputy Chief operations Manager of Southern Railway in 1996 after serving for 34 years.I am an avid reader of Maddy,s Ramblings for over 2 years.In a number of occasions I had felt the urge to compliment the author.I must admit I have failed- rather delayed,acute back pain since 2002 being a major reason.But I can not delay any longer.All the articles about railways in India are the best I have ever read or never read.It is quite likely I may not,for ever.The fact that they made me forget and kept me free from pain is solemn proof.I just marvel at the painstaking efforts of the author.If I write now,might be out of loyalty to Indian Railways.Incidentally I served as Station Superindent at Madras Egmore Station for close to 2 years- 1976-77 and Station Superindent of Madras Central Station for over8 years,1978-86.I am a resident of Chennai- India.Presently I am staying with my son in Singapore,with my wife aswe have been doing annually since 1996.I shared my ectacic with them.Th pe least I can do by way of grateful appreciation is to meet the author whenever he visits India next.I will travel any distance if only to meet with one,who I consider has written the best articles ever known to me.I am new to using the computer and took a long time to keyin this message.I thank the author once again for making my life worth living.May God,nature and elementls protect him.Kanakasabapathy.(Kanakasabapathy38@gmail.com.). As they say, you made my entire effort worthwhile. I was despairing why nobody found this essay interesting enough to make a single comment so far and after some days had actually given up. Hi I have been following your blog with great interest. Todays news is that the Royapuram Railway station built in 1856 is to be demolished to make way for other developmental work in the 72 acre site. Heritage lovers are already voicing their dissent. Thanks a lot, that is sad news, but as you know these things are hard to be stopped, prime property will always be usurped! great blog. Landed when I was searching for the history of Madukarai station on the Kovai-Palakkad stretch. My great grand father was a Station Master at Madukarai. Even if I did not get hold of the specific info i was looking for, i did find stuff that more than satiated my curiosity. Terrfic read, really. Hi there this is Sriram again. I am a closet blogger and writer...nothing fancy... you can visit my blog thesocratespot on eblogger if you have the time. Hi, this one is really informative. It would be great if you could provide additional information about the railway stations on the Madras - Malabar route during the early periods. Good reading about the Madras Railway. I am the author of the 3rd book 'The Indian Rlys - the Beginning upto 1900- It is a 534 pages book with 600 pictures all colour, art paper, A-3 size, 2.2 kg wt and I am sorry it is bulky. If you give me your address at Madras or your friends at madras, I am prepared a copy of my book to you. S Venkatraman, aged 93, a Rlyman of 40 years.